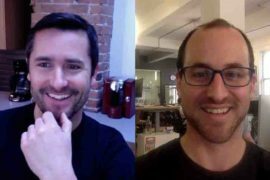 Airbnb Co-Host | How to Boost your Income by Co-Hosting on Airbnb? Have you heard of the new Airbnb Co-Host feature? If not, you should definitely check it out if you are looking to give a serious boost to your income as an Airbnb Host. 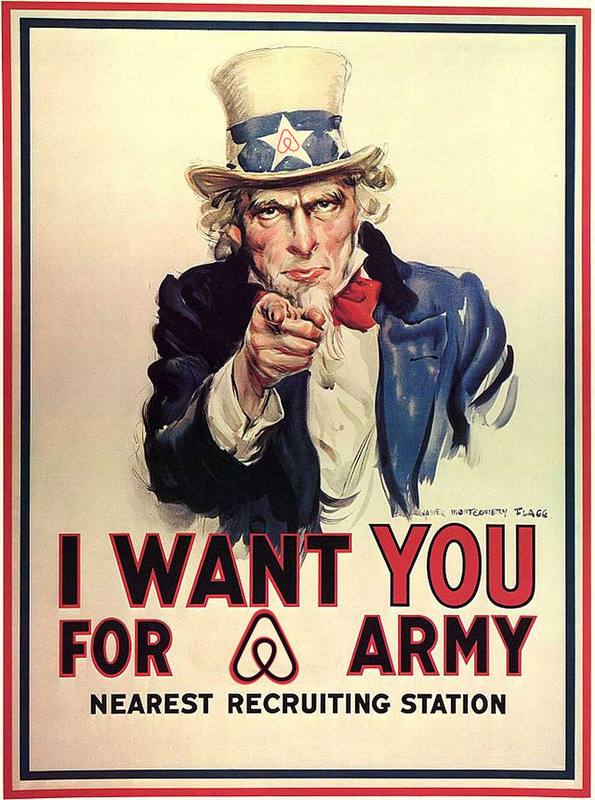 Most new Hosts are clueless about what needs to be done to build a successful Airbnb listing. Meanwhile, millions of potential Hosts are currently not renting out their home on Airbnb simply because they don’t have the time or knowledge to manage their listings themselves. 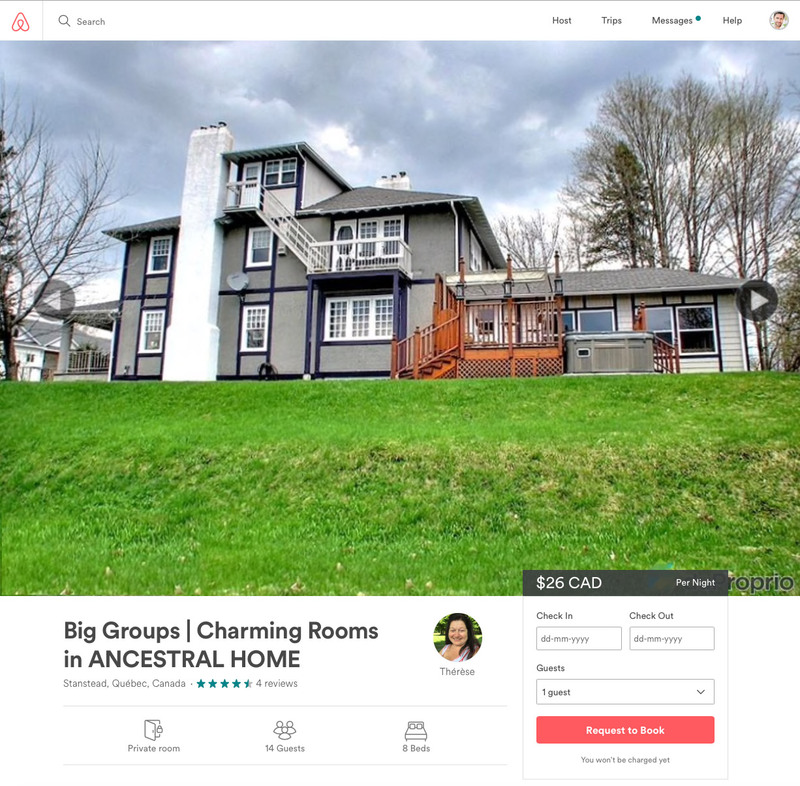 To perform well on Airbnb, you need to feature a tastefully decorated home, build a detailed listing, shoot quality photos that will sell your place, answer all booking requests instantly, update your pricing constantly, fix any hosting problems on the spot, manage non-stop clean-ups of your place, and be available for your Guests 24/7 for any of their special requests. 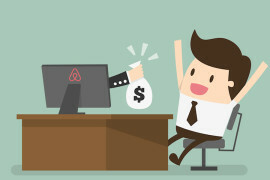 Managing a successful listing on Airbnb can quickly turn into a full-time job for anyone wanting to maximize their Airbnb income. While this can become a life-changing activity for some Hosts, it can also become an impossible task to accomplish for others. At the Airbnb Open 2016, it was revealed that Airbnb’s larger ambitions is to become a super-brand of travel and to take over the entire trip experience. To accomplish one aspect of this long-term goal, Airbnb is currently in a phase of global growth and they are focusing way more on acquiring a large quantity of listings versus acquiring listings of quality. With a current portfolio of over 3 millions listings, this San Francisco unicorn company still wants to grow their inventory of homes to keep their 30 billion dollar valuation growing into the trillions. For every growth problem, there is a solution and over the last few months, Airbnb has been testing a new co-hosting feature that lets experienced Hosts manage someone else’s listing(s) as an Airbnb Co-Host in exchange for a cut of their earnings, hoping to keep growing their inventory of homes with people who don’t have time to manage their listings themselves. In the United States, Airbnb shut down thousands of New York Hosts managing multiple listings under one profile. In Europe, Airbnb shut down more multiple listing Hosts for no apparent reason. And a few weeks ago, in Vancouver, Canada, Airbnb has shut down another 130 listings of publicly assumed “Co-Hosts”. I actually was at the Airbnb Open in Los Angeles just a week ago and I ran into a Vancouver Host who was managing 20 listings for other Hosts under his own profile and who got shut down during this raid. Let’s say this guy didn’t love Airbnb. Is Airbnb bipolar? I sometimes wonder. Anyone who studies Airbnb’s behaviour becomes well aware that these shut downs are only political, since they usually only happen in big cities where Airbnb is trying to get legalized. Billions of Airbnb dollars are at stake in big touristic cities, like New York or San Francisco, where Airbnb face intense scrutiny and regulations. We can only assume that Airbnb doesn’t really want to shut down these multiple listing Hosts because they are the Hosts who make the most money for Airbnb. But Airbnb is thinking long-term with their growth strategy and by shutting down Hosts with multiple listings publicly, they are investing in Airbnb’s financial future by showing the political power in place that Airbnb is a not a platform that should be used to rent homes as hotels (publicly), so it should be legalized and taxed. This behaviour always makes me laugh because whenever Airbnb is not actively searching to get legalized, they couldn’t care less about Hosts running multiple listings. Actually, the Airbnb Open schedule of 2016 featured countless workshops and conferences about how to run Airbnb as a business and they used the event to introduce the new Co-Host feature, allowing a world-wide army of successful Hosts run multiple listings privately in the back-end of Airbnb. So, to act as a guinea pig for you, my dear AirbnbSecrets readers, I’ve started testing this Airbnb Co-Host feature myself a few months ago. My aunt Thérèse is now 67 years old and just got retired from selling farm insurance all her life. Since retiring, she’s been spending a lot of her time helping my grandparents (her parents) who are retired farmers still living in their modest home. My grandfather is actually 94 years old and he still enjoys cutting wood in the forest with his chainsaw while taking care of his horses every morning. My gramma is now 88 and she loves cooking his oatmeal for breakfast before he gets out to enjoy nature all day. My grandparents met in their teenage years in a rural area of Quebec because they were farm neighbours. They’ve been married for about 70 years and my gramma is well aware that they don’t have that much time left ahead so my aunt, being the oldest of 6 siblings, has been spending a lot of time with them since she retired. 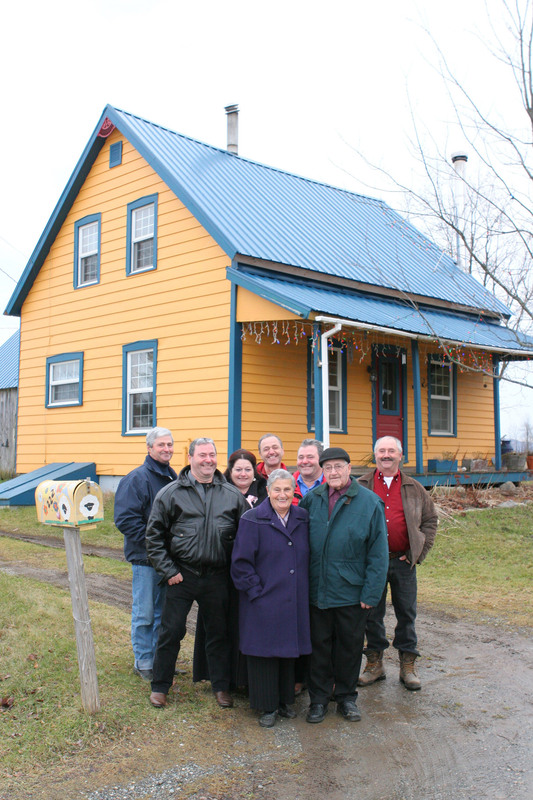 Here’s a picture I took of them a few years ago in front of the Papineau farm house where my uncles and aunt were all born. Thérèse is behind my grandmother on the left and my father Pierre is actually right between my grandparents. My father has a twin, Simon, who is on the left side of my gramma. Thérèse, who has always been surrounded by 5 brothers, is an open-minded person who loves to helps others. Being the oldest sibbling, she recently decided to take care of my grandparents in a very special way. Lately, she’s been taking them on car rides to have them visit family members and long time friends that they haven’t seen in decades. Some of these reunions have been pretty emotional but had very positive effects on my grandparents, while keeping my aunt busy away from her home. Thérèse has owned a beautiful ancestral bed and breakfast for the last 15 years. 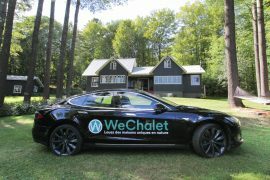 Her property was actually built in the late 1800’s by a famous New York architect, in the small town of Stanstead, Quebec, located at a 5 minutes walk from the border of Vermont, USA. Her place is very unique and is a piece of the history of the village where she lives. My aunt has been sharing her life with a boyfriend for about 20 years but lately, she has been in the middle of a friendly split-up. Their house was up for sale for the last few years, but they couldn’t find a buyer. One big problem with monetizing her B&B has always been that she never had any online presence to promote her business. Meaning, she had no website and that she was only relying on the outdated Quebec Tourism web platform to send her some clients. So she was barely making any money hosting since barely anyone knew her B&B even existed, which explains why they also wanted to sell the place. For the last few years, I’ve been telling my father that my aunt should put her B&B on Airbnb. She seemed opened to give it a try but she was not up to date with technology and had no idea how to do this by herself. A few months ago, I noticed that Airbnb came up with a new co-hosting feature and I happen to run into my aunt at my parents’ place. I offered to do an experiment with Thérèse to help her kickstart her place on Airbnb. She jumped in on the offer! First thing we did is that we went shopping to get her a new cellphone and a laptop. We ended up canceling the landline that she had all her life and switched the phone number to her cellphone. She felt this move was kind of scary but cancelling the land line pretty much paid for the monthly price of her new iPhone, which currently allows her to respond to any Airbnb booking request instantly. Since we’ve done this, she actually loves the new freedom this provides. I then sat down for a day with her to give her a big crash course on how to use her new digital set up to with Airbnb. While at night, I started building her Airbnb listings from my own computer back home. Once you create a listing, you can now add an Airbnb Co-Host to it. To do so, you need to go to the settings of the listing and at the bottom left the menu, you will find a tab to add a Co-Host. Again, this was my first time listing a B&B on Airbnb and my aunt’s home features several bedrooms that can host a total of 14 people. As of this writing, I ended up building 4 listings for her entire home and you can see them under her profile here. We also decided to remove all breakfasts from her Airbnb bookings turning her B-n-B into a Bed-No-Breakfast. By doing this, we were able to bring the nightly prices down, while making it so much easier on my aunt to host a higher volume of Guests. Within a few days, we were able to launch Thérèse on Airbnb successfully and she started to greet Guests pretty much instantly. It always makes me laugh when I read articles about B&B’s who hate Airbnb for stealing their business because the truth is that every B&B should be on Airbnb. Thérèse has now had more bookings in the last few months than she’s had in the last few years. Because of this, she has decided to keep her home and to re-finance it to buy the share of her ex-lover. All the paperwork is signed and the move out of her ex is happening in the coming weeks. Her new Airbnb income will allow her to make this transition smoothly. That said, we are currently using pictures of her home that were shot by the realtor to sell the place. I think one of the biggest problems in order to get even more Airbnb bookings and drive her rental prices up is that we need to declutter her home and refresh the duvet covers to give a more modern look to her place. We are currently planning to reinvest some of her Airbnb income to do a little make-over soon and I will reshoot her pictures as soon as the new look will be in place because Airbnb doesn’t currently offer free photography in rural areas. At the moment, I’m managing her listing and bookings for her through the new Airbnb Co-Host feature to help her transition into this life-changing adventure. From what I’ve experienced so far, the new Airbnb co-hosting program is great. Not only does it allow you to manage a listing for someone else but it also allows Co-Host fees to be handled by Airbnb automatically. Even if I am currently co-hosting for my aunt for free, I could actually charge a management fee for co-hosting for others. When you charge an Airbnb Co-Host fee, the split happens directly at the source, eliminating the need to use a payment system for handling your management fees outside Airbnb. So let’s say that you decide to charge a 30% fee to Co-Host and that you confirmed a $100 booking for someone else. When the payment gets issued 24 hours after the Guest’s arrival, Airbnb would instantly send you $30 directly, while also sending the remaining balance of $70 to the owner of the listing. This is a pretty awesome option for simplifying accounting. 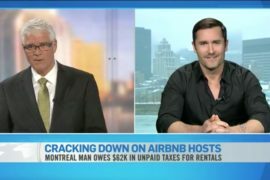 Actually, this Airbnb Co-Host payout method could even have an impact on taxation because if you live in an area where Airbnb collects taxes directly on the platform, this would mean that the short-term taxes would have been paid by the Guest directly on Airbnb, such that your management fee is not really a management fee. 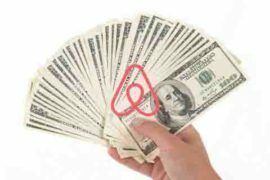 Instead, you actually get a part of that Airbnb earning just as if you would have been the owner of the place, which is way different than charging a management fee taxation wise. Based on my $62,000 Airbnb Tax bill experience, it’s definitely a taxation aspect that you should discuss with a local accountant or a tax expert if you are thinking of becoming an Airbnb Co-Host. 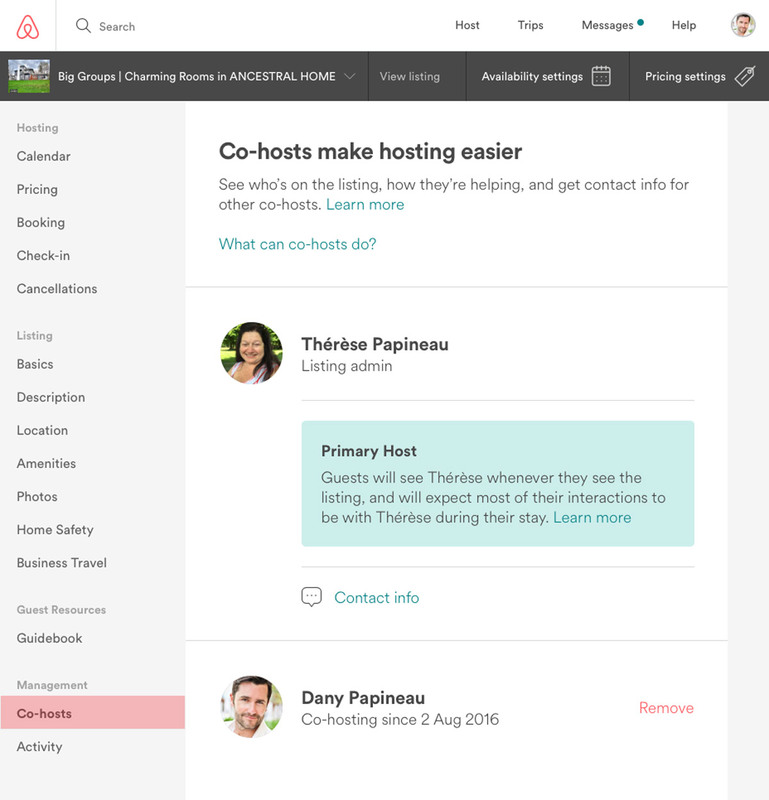 By the way, once you link yourself as an Airbnb Co-Host to a listing, it allows both Hosts to manage one listing. 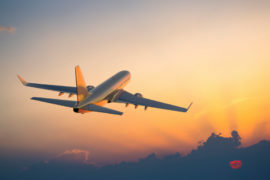 This means that both Hosts can change the photos and description, manage the pricing and availability on calendar, message any prospective Guests, greet them, help them settle in and take care of any problems during their trip. Also, as soon as you are added as a Co-Host, the Guests will be able to interact with you directly from the start. So even if the listing doesn’t belong to you, when you start chatting via Airbnb, they’ll see that their are having a conversation with the Co-Host through the booking steps. 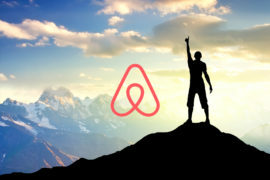 Of course, there are several possible benefits from the Airbnb co-hosting program, such as potentially helping with language barriers, being able to manage someone’s listing when they go on vacation or even manage all aspects running an Airbnb business for someone else from A to Z, to name a few. But the new Airbnb Co-Host program goes even further. What Airbnb is about to do is to push the best performing Hosts and only feature the creme de la creme to suggest them publicly as Co-Hosts to new Hosts who have no time to manage their listing in their area. This simply means Airbnb could suggest you publicly as a Co-Host! This part of the program was in beta phase in about a dozen cities during the last year and is just about to be released worldwide. This is what I mean when I say that the new co-hosting program will allow a worldwide army of successful Hosts running multiple listings in the back-end of Airbnb, while Airbnb is shutting down Hosts who are running multiple listings under one profile publicly. Speaking of offering Airbnb Co-Host services, since testing this feature for my aunt, I started co-hosting other listings for other people who were underperforming on Airbnb. So far so good, I’ve helped transform their Airbnb business and they are making more money then ever while my team and I are taking care of every aspect of maximizing their profits on Airbnb remotely. If you currently have no time to Host or if you have no idea how to maximize your Airbnb income, I’m currently looking to build a portfolio of Airbnb properties that I want to manage for other Hosts. 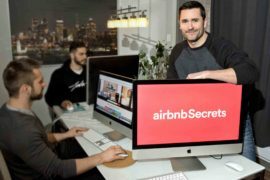 If you are interested in my AirbnbSecrets co-hosting services, just send me an email at dany@airbnbsecrets.com and we can discuss your needs on Skype. I hope you enjoyed this post!